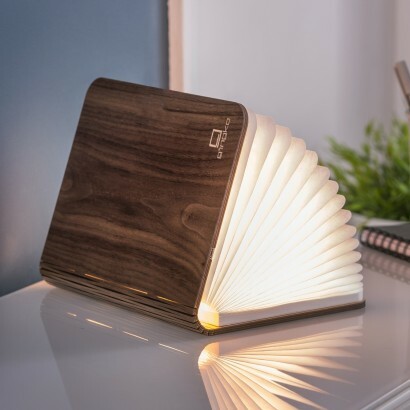 The stylish walnut cover is only half the story hidden in this contemporary book as open it up and the pages come to life, not with inspiring prose, but with warm white light! 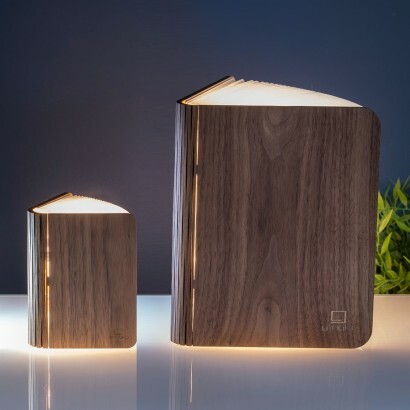 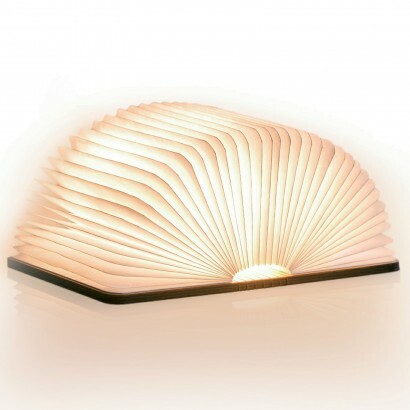 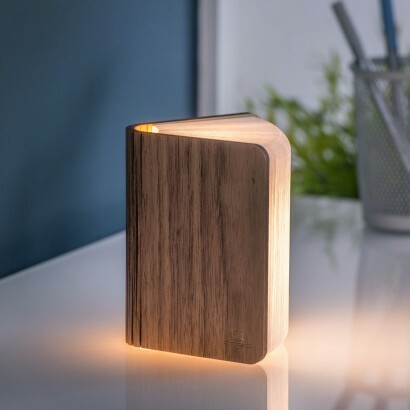 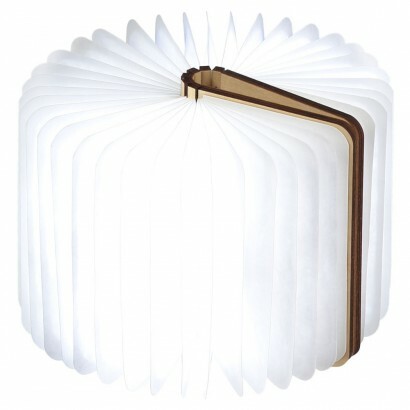 Available in mini or large, Gingko smart book lights are a brilliant way to illuminate your space adding character and serious style to your interiors with the luxurious walnut cover and soft white tear proof pages shining with cosy warm white light. 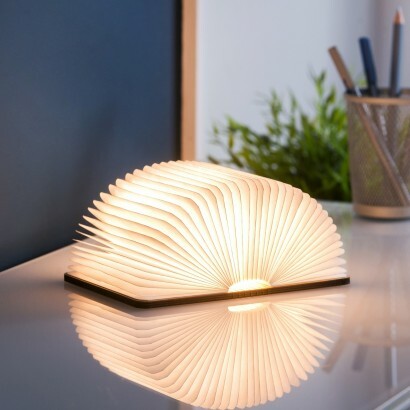 Rechargeable and versatile, display this captivating book light upright for softer light, lay it open at 180 degrees for more structural lighting or even be fold it all the way round and secured with clever hidden magnets in the cover for 360 degrees of light!